After a few rounds of fundraising, appeals, and — for one die-hard parishioner — 2 trips to Rome helped prompt the Vatican’s verdict, the archdiocese is now mulling “how to untangle the finances, how to staff both churches, how to get St. Stephen’s boarded-up building ready for the public.” But it hasn’t given any timeline for those to-dos yet, reports Gray. Congregants however, “note that canon law requires a church to be open to the public on the feast day of the saint it’s named for.” Too bad though: St. Stephen’s Day is today, December 26, and the building’s main entrance remains blocked off by fencing. This is like watching a fight between fans of the original Lord Of The Rings and the Hobbit spinoffs. The stories are just as real. A small spelling correction for “cannon law”, which sounds like compliance by the barrel of artillery, versus “canon law” which is a bit more genteel. Since the church violated its own canon law, what is the punishment? Ten Hail Marys? Closure of the closed church? (just kidding around). I am Catholic and it sure sounds to me like the Vatican is promoting racism. One would think with the classical education HISD provides its students most would have been able to read the original Vatican announcement in Latin. Tell the Pope to start paying taxes then he can dictate real estate moves. @6th Ward Guy, everything I read on the Wards indicate that this church, which is north of Washington Ave on Center St, was in the First Ward. The Sixth Ward was bounded on the north by Washington Ave. The Wards were first created in 1840 and originally there were only 4. Main and Congress served as the meeting point of the 4 wards. 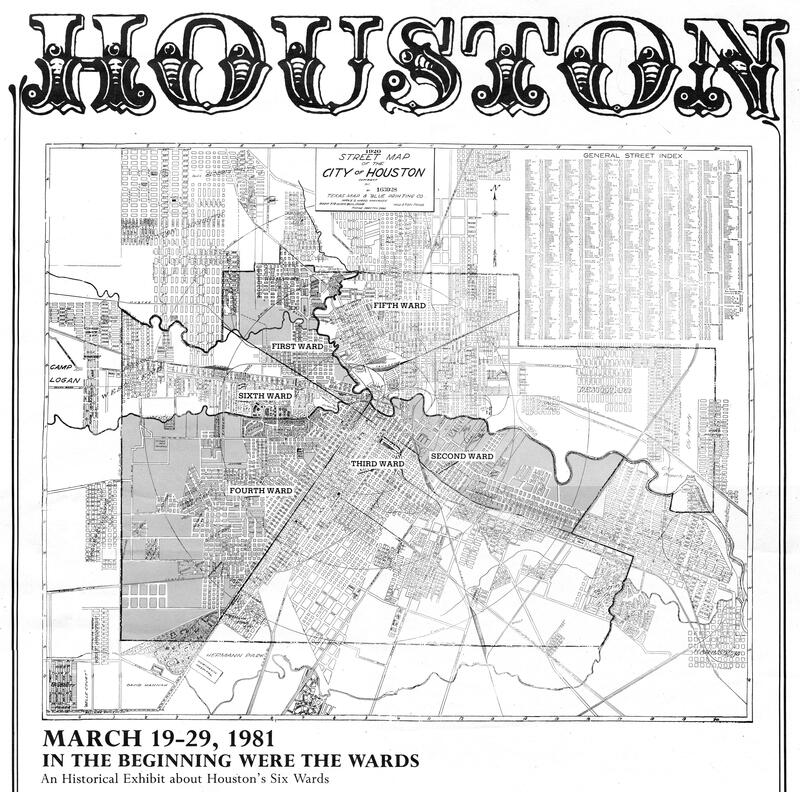 The First Ward was everything North of Congress and West of Main. The Fourth Ward (important since the Sixth Ward was created from the Fourth Ward) was everything South of Congress and West of Main. Congress/Preston/Franklin basically all converge west of the bayou and form Washington Ave. So one can see how Washington Ave is the boundary between the First and Fourth Wards, from 1840 until the Sixth Ward was created in 1876. Since the Sixth Ward was created from the Fourth Ward, you have to assume that its Northern Boarder was the same of Fourth Ward’s original northern boarder, Washington Ave. The upshot: that church is 6th Ward, not 1st.